The Sundy house is the oldest and most historic house in Delray Beach, Florida. It was once a personal home until turned into a restaurant and Wedding venue in the 1980's. The Sundy house is one of the top rated romantic wedding venues in Palm Beach County Florida, located in downtown Delray Beach, Florida. The Sundy House is managed by Tom Rasmussen, who excels at making each bride and grooms wedding day absolutely perfect. Couture Bridal Photography is the most preferred and booked Wedding Photography studio for Sundy house Weddings. Couture Bridal Photography is the most preferred Wedding Photography studio for Sundy house weddings for the advanced lighting techniques and knowledge necessary for the low light conditions at the Sundy house when the sun sets. The lush landscape and flora along with the mixed lighting make Sundy house one of the most challenging wedding venues to photography in and many photographers aren't properly skilled or equipped once the sun goes down. Bianca and James chose Alfredo Valentine and his Couture Bridal Photography team for their January 13, 2018 Sundy House Wedding day for the unique and distinct wedding photography only offered by Couture Bridal Photography. In addition to being the most distinct and artistic wedding photographer in Florida and much of the United States, Alfredo Valentine uses advanced lighting techniques and knowledge to create the most spectacular wedding day images throughout Miami, Fort Lauderdale, Palm Beach and throughout the United States. Tom Rasmussen, manager of the Sundy House has made Couture Bridal Photography the preferred and most recommended Wedding Photography studio for couples seeking the finest artistic wedding photography best described as art documentary wedding photography. Couture Bridal Photography is the most preferred wedding photography studio at most venues throughout Delray Beach, Boca Raton and Boynton Beach, Florida. Among the many awards Couture Bridal Photography has received throughout the years since being founded in 2008, is being the best rated award winning boutique wedding photography studio in all of South Florida, including Delray Beach. 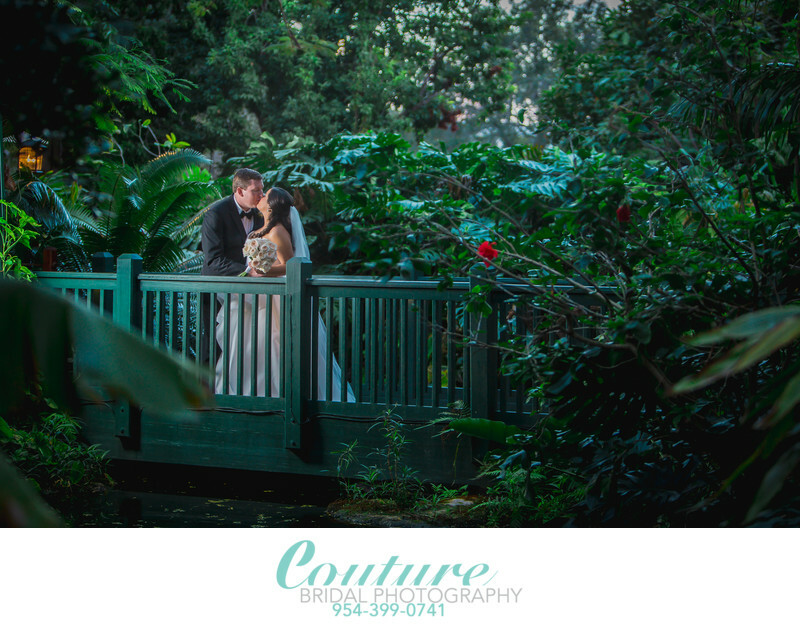 If you're planning a wedding at the historic Sundy House in Delray Beach, the first call should be to Couture Bridal Photography to capture the moments, emotions and details of your wedding day. Couture Bridal Photography is an award winning published Wedding Photography studio based in Fort Lauderdale Florida and provides wedding photography throughout Miami-Dade County, Monroe County, Broward County, Palm Beach County, St. Lucie County, Indian River County, Brevard County, and everywhere throughout the United States, Caribbean, South America and Europe. Location: 106 S Swinton Ave Delray Beach, FL 33444. Keywords: bride and groom (198). 1/200; f/2.8; ISO 800; 85.0 mm.